I have been informed that Aymeric Chauprade, one of the top members of the French radical right-wing populist National Front and Marine Le Pen's advisor on international issues, now denies that he was invited to "observe" the illegal Crimean "referendum" by the Eurasian Observatory for Democracy & Elections (EODE) headed by a Belgian neo-Nazi Luc Michel. Why would Chauprade deny this? The answer is obvious: the French National Front tries to distance itself from the extreme right and neo-Nazism, while Marine Le Pen has long been trying to present her party as non-extremist. 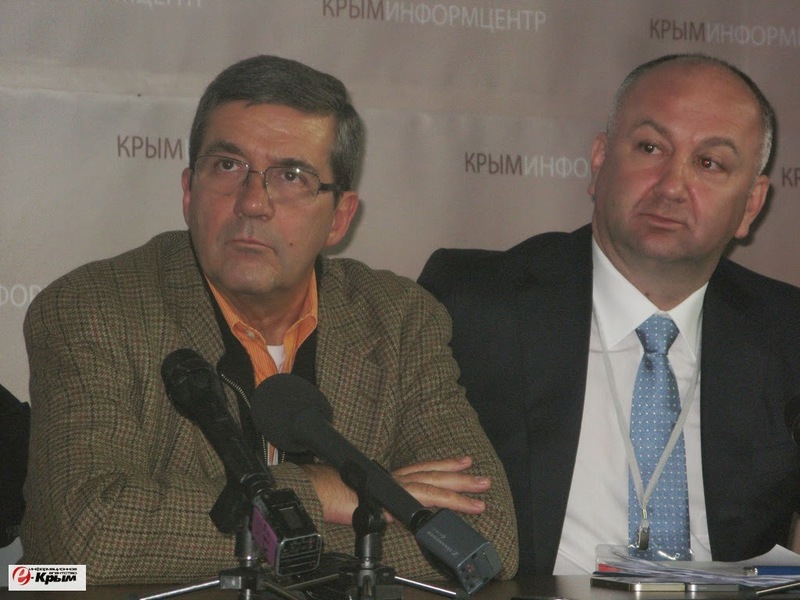 Chauprade's visit to the illegitimate Crimean "referendum" on the invitation from the EODE undermines the National Front's "moderated, respectable image" in the run-up to the elections to the European Parliament. 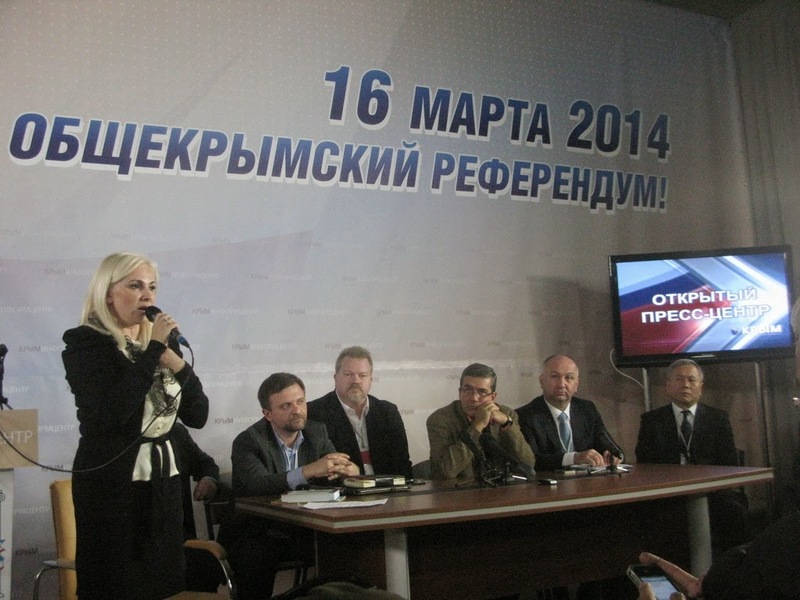 The Russian organization "Eurasian Observatory for Democracy & Elections" has invited several MEPs from right-wing parties, including the FPÖ and Vlaams Belang, Front National and the Lega Nord, to observe the referendum in the Crimea. 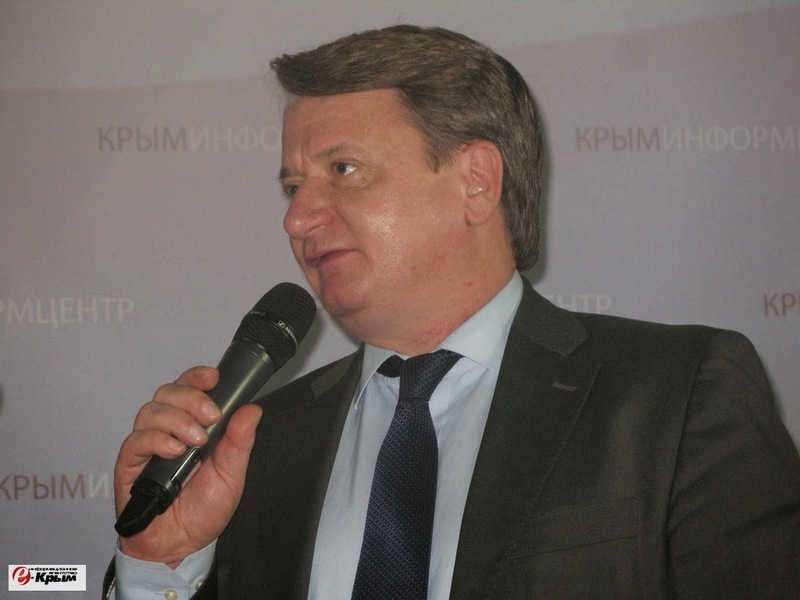 The invitation to Crimea was issued to him "as the geopolitics expert by a Brussels-based NGO called Eurasia," said the same source. 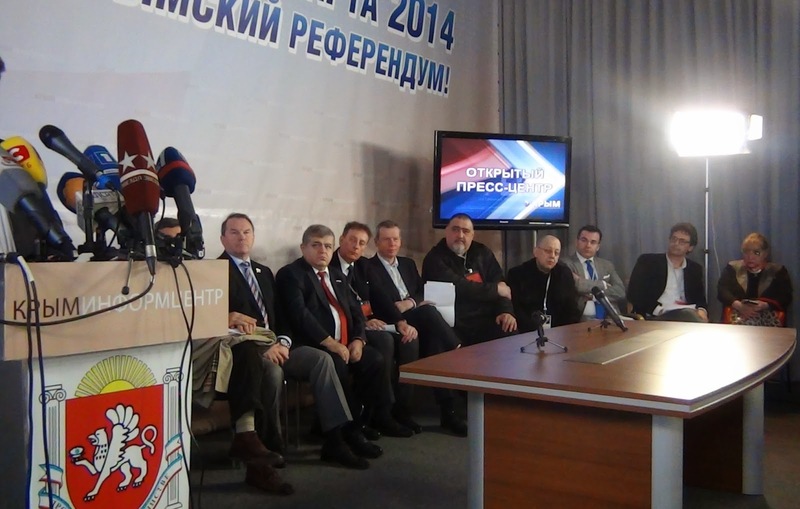 A pro-Russian NGO, Eurasian Observatory for Democracy & Elections (EODE) invited representatives of right-wing European parties to go to Crimea as "observes" in the referendum. 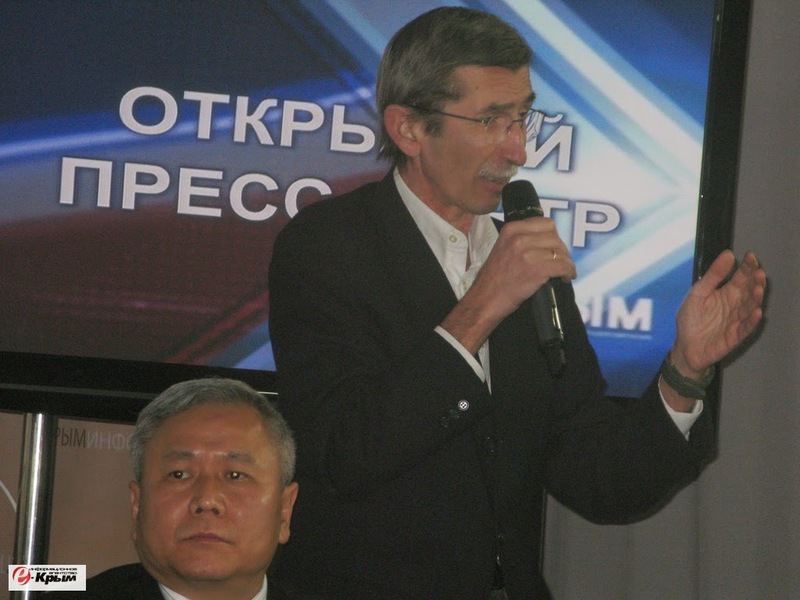 Mr. Chauprade, an advisor to Marine Le Pen, was invited in a personal capacity, as geopolitical expert, by the Crimean parliament and not by EODE. The idea that Chauprade was invited by the "Crimean parliament" sounds ridiculous to all who understand the puppet nature of the "Crimean parliament" which is totally controlled by the Kremlin. Nobody in the "Crimean parliament" could have possibly invited any non-Russian international "monitor" at their own discretion. 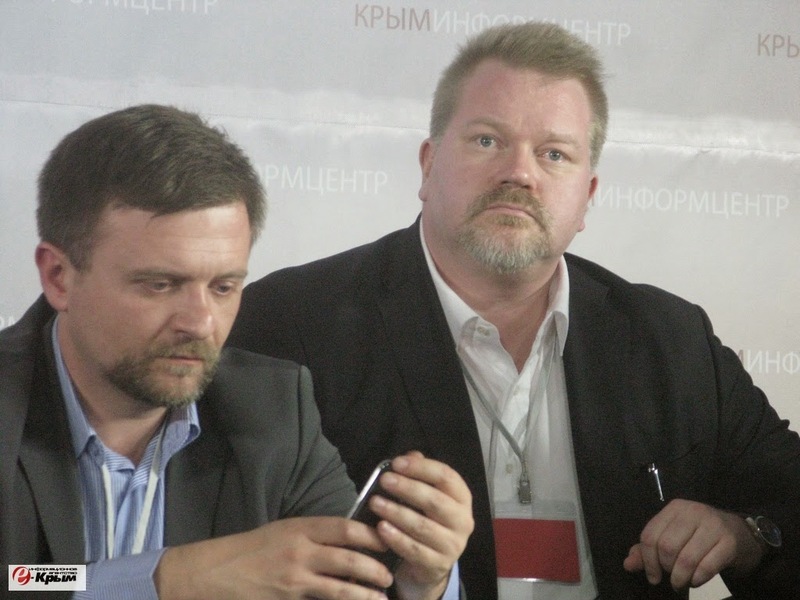 The analysis of the earlier media reports, as well as common sense, suggests that it was exactly the EODE which had invited members of the National Front to "observe" the Crimean "referendum", but only Chauprade decided to go. The scandal which erupted following the discussions of the illegal "referendum" in the Western media, as well as the revealing details about the international "observers" in this blog, made the National Front's officials nervous, and they decided to deny the EODE connection. 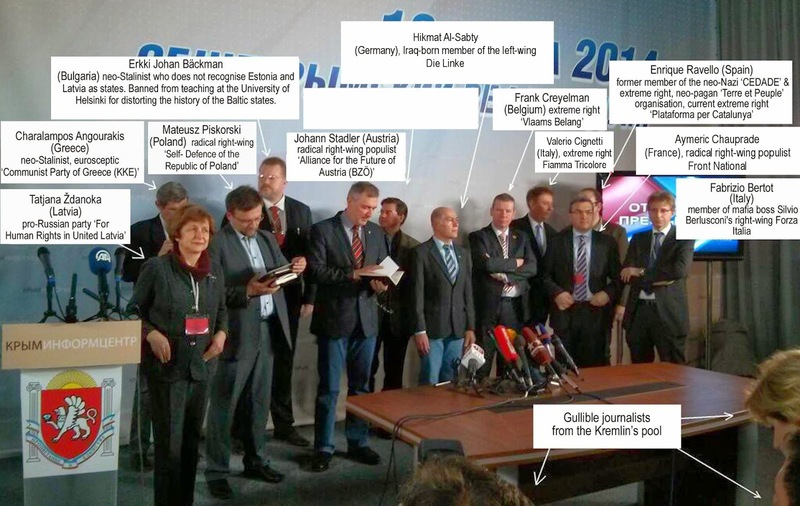 In conclusion, more photos of the international "monitors" at the Crimean "referendum". Golden Dawn / Chrysi Avgi N.G. Michaloliakos on picture with Luc Michel ? No, the Greeks were represented by neo-Stalinist Charalampos Angourakis.